Tired of waking up with assorted aches and pains, or frustrated that the scale refuses to budge? Whether you’re experiencing pesky pain or having trouble paring those stubborn pounds, Dr. Robert Shire can help you embark on a journey toward total health and wellness. Midtown East Chiropractor, Dr. Robert Shire feels blessed to practice and apply the science, philosophy and art of chiropractic. 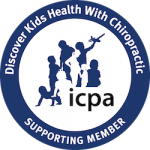 We believe that chiropractic care is more than just pain relief; it’s about the health of your spine and nervous system. It’s about learning, understanding and taking care of your body to improve your health and quality of life. Chiropractic is a hands-on healing art that can help you! We see patients ranging in age from infants to older adults, and ensure that care is tailor made for their individual needs. 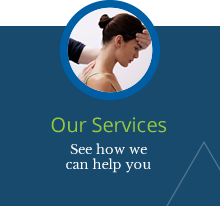 You can take advantage of our extensive range of safe and effective techniques and services that can help you get better and feel better. 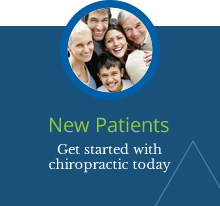 Are you ready to embark on a journey toward optimal health and wellness with a chiropractor in New York City? 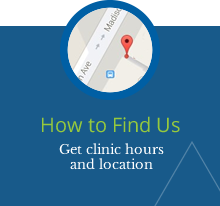 Browse our website and then call us today at (212) 752-6770 to schedule an appointment. I’ve been seeing Dr. Shire for chiropractic care throughout my pregnancy. My visits have helped a lot with lower back and hip pain, as well as getting and keeping my body in ideal alignment throughout pregnancy. Dr. Shire and everyone in the office are super friendly, warm, and accommodating. It’s a very relaxing and healing environment. Dr. Shire is the best of both worlds. A consummate pro who is at the top of his profession AND an amazing person who really cares about his patients. I have been seeing Dr. Shire for a few months for a chronic neck issue, and already I’m back to the activities like yoga that I love so much. Dr. Shire has helped me tremendously with my headaches and neck pain. Since seeing him my headaches have subsided substantially and I find my focus and energy to be much better. He listens to complaints and takes the time to treat the individual issues. I am very happy with the treatments as well as Dr. Shire’s outlook on living an overall healthy lifestyle. Dr. Shire is amazing! I was referred to him by my midwife because I was 38 weeks pregnant and my baby wasn’t in an optimal position (baby was head down but sunny side up). Dr. Shire was very gentle yet effective, I always left the office feeling better not only physically but mood wise as well; he has such good energy and great bedside manner too. After just a couple of weeks of treatment my baby arrived, and thanks to Dr. Shire he was in a much better position, so labor was smooth and fast. I now began seeing him for postpartum body alignment, that has been very helpful too. He’s by far one of the best health professionals I’ve ever had. 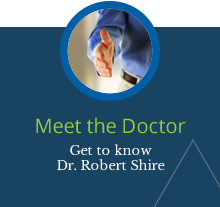 Dr. Shire is very knowledgeable, intuitive, trustworthy, and sincere. I was diagnosed with a degenerative disk/arthritis in my neck. I had no mobility in my neck, but within a few adjustments I regained full mobility back. He makes me feel like a family member. Takes his time through the process. He actually cares! When I saw Dr. Shire for the first time, he called me late evening to see how I was feeling. Very uncommon in a doctor. I could not believe I got a call from him! !…He’s my chiropractor for life.